Towards the end of last year, I did some extensive research into digital photography and the associated equipment which delivers images of a quality and style which both Katie and I like. The motivation for this was 2 fold – our current trusty Canon S2IS, which served duty for the past 4 years had met its maker with the autofocus/zoom on its way out due to it being accidentally opened inside its case. All I can say, is that it wasn’t me. Honest. The 2nd motivator is that both Katie & I want to take better photos and the current crop of pro-sumer and instamatics just don’t cut it. 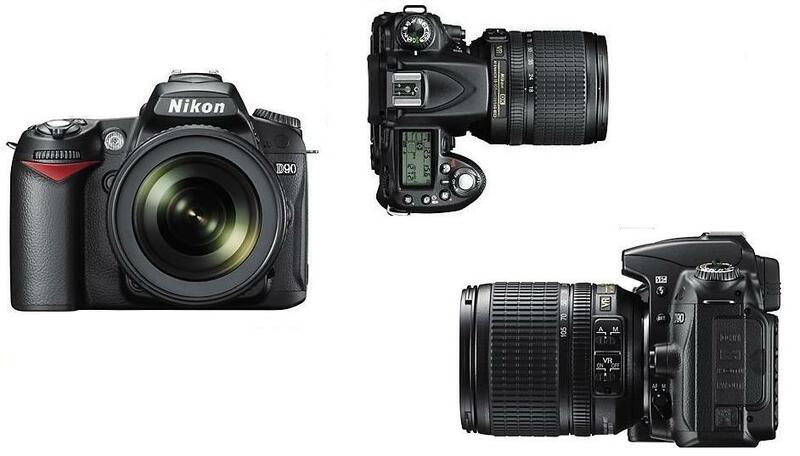 Enter the Digital Single Lens Reflex or dSLR. Whenever researching anything, I always go straight to the top of the product tree to assess the features, benefits and price justification the manufacturer would have you spend to take ownership of their flagship. Having worked in retail and consumer products for a long time, I find starting at the top allows you to compare each of the brands favourably and with parity from a feature vs feature viewpoint. Invariably this involves a price point, which is being met, so short of full blown professional level equipment, in relation to my camera research, this brings us to the $4,000 AUD price mark. I’ve looked at all the big camera dSLR manufacturers – Nikon, Canon, Olympus, Pentax and even looked at the ridiculously priced gear from both Leica and Phase One, to get a feel for what $30,000 will get you. Something I’ve picked up is that when upgrading to the world of dSLR’s entails a bit of thought because once you go down one or the other path in terms of the brand you select, you’ll be stuck with a pile of expensive lenses and no way out, save an expensive, labour intensive track of eBay auctions and losing money. Part of my research entailed looking around for digital camera specific review sites. The first cab off the ranks is the website Digital Photography Review www.dpreview.com which has been around for an age and has a phenomenal following. The reason? Top quality reviews. They are detailed, have an extensive list of benchmarking tests within the studio as well as offering subjective tests to competitive product. The recommendations and language are accessible and perhaps most importantly, the archive of prior equipment is maintained and extensively cross referenced with newer updated models. This in itself is very useful as it allows you to compare a piece of equipment you own to the new models, thus further validating your new acquisition. Seperately, Digital Photography Review has always had a wide ranging and informative user community who comment on cameras, lenses and camera styles – gaining consumer insight into products from the users perspective is a very compelling information set and DPreview.com have been involved in this type of social engagement long before the term Web 2.0 became trendy. Through my travels, I also came across a website written by a guy called Ken Rockwell. Wow – talk about a gold mine of information, opinion and useful tips. Ostensibly, this guy is a professional photographer and just maintains his website on the side, by writing reviews of equipment he gets his hands upon. The reality however is that his site gets some serious traffic, being in ranked 7,552 most visited globally at time of writing by Alexa. Probably one of the more useful things I did from a research perspective however was what one of my work colleagues suggested. He said try visiting Flickr and type in the model number of the camera I was interested in. Flickr’s search allows the EXIF data on each of the images submitted to be searchable – so if I typed in a Canon 50D, Olympus 520, Nikon D90 or Pentax K20, the associated images would pop up. A handy bonus when searching this way was that the lens specs were also often embedded into the images and as a consequence would inform my view of what images/camera/lenses I liked. I ended up getting a Nikon D90, with 50mm f1.4 & 18-105 f3.5-5.6 travel lenses. Awesome. the image quality of the Nikon, I prefer – I feel that it has more filmlike grain and latency and the colour rendering is lifelike, particularly in relation to skin tones and soft tones (flowers etc). Overall its just less saturated and “fluro” looking. Nikon’s Lens F-mount hasn’t changed since they started making dSLR’s in the 60′s. It means I can get old school, super high quality optics 2nd hand that will just fit straight onto the camera. Build quality – flat out, I felt the Nikon’s felt better in hand both from a weight/component build side as well as from the actual manner in which they have designed the unit. We travel a bit and I wanted something that was relatively ruggedised to take the knocks day to day travel. Various of the forums I visited indicated the Nikon’s as a whole were generally more weatherproofed. Warranty. Something I found out with Canon’s was that if you purchased overseas, was that Canon Australia would not honour the Warranty of the camera as it was geared around being supported from country of original. Nikon didn’t have this problem – international warranty. So, we’ve had this camera for about 12 months now and I can say that Katie & I truly love it.